Our network center blocks on average, about 100 thousand SPAM or Phishing messages a day! 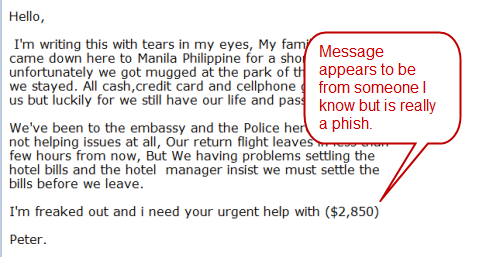 Even so, Spam lands in our in-boxes just waiting to fool us into giving up sensitive information. So how can one tell if a message is not right and avoid being compromised? Note: If you receive a SPAM or Phishing message, please forward it to mailcop@etown.edu. Be Safe: Elizabethtown College will never ask for your personal information or password. Never share this information with anyone. You are asked to verify your account. You are asked to confirm your identity. You are asked to provide your username and password. 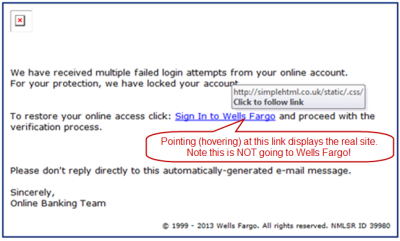 You are asked to click a link or download an attachment to open or reactivate an account. The message is not signed by a member of the ITS staff. The From address is not an @etown.edu address. If you hover over the From: line, the address will be different from what is on the message. Requesting you click a link in the message. 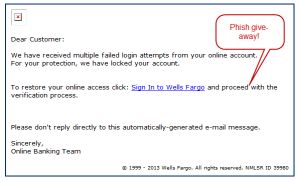 Bank message asking for account verification, renewal, reactivation, security improvement. Credit card notification with a link to download something. Alert that you have received some money and all you have to do is click a link to start the process. E-card message that you are not expecting even if it is from someone you know. A notice that you have free “stuff” or unclaimed assets waiting for you and to just click a link to find out about it. 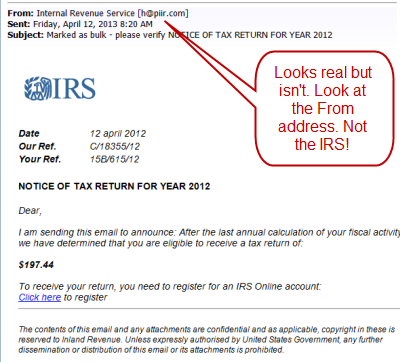 IRS notifies you that you have a tax refund and to click a link to receive the refund. Don’t think that a professional looking message is legitimate. For example, spammers are duplicating the look of messages sent by banks and the IRS.